Jarrett Bay owners are members of a very distinguished group. While there are many other outfits that will build you a boat from the keel up, most of these simply construct the same design over and over. Production builders obviously build the same boat repeatedly, but even when a new model is introduced, it often runs on the same bottom their owners were running on 20 years ago. A Jarrett Bay boat is truly custom, truly your boat, built to serve your needs, and runs on a refined and ever-evolving hullform optimized to deliver the speeds and efficiency demanded by today’s discriminating owners. And while our boats have “Carolina Style,” these are just some the elements that make up the lines of a Jarrett Bay. We’ve set our own standard for how a sportfishing boat should look, and that form follows its fast and efficient function that progresses with each build – while always melding innovative owner ideas and customizations into the mix. Simply put, you won’t pull into a marina and find five other boats just like yours tied at the neighboring slips when you own a Jarrett Bay. 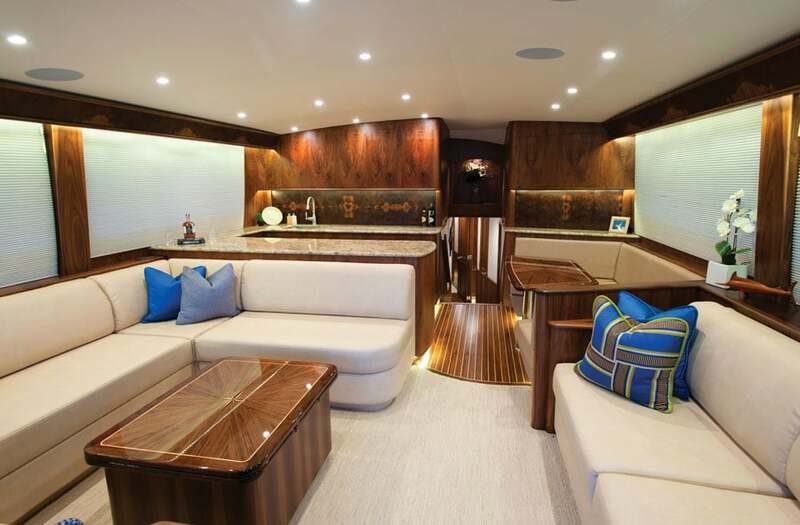 Jarrett Bay’s design and construction method results in speed and efficiency that only the rare custom boat, perhaps, can ever hope to match. We are up to 35-percent lighter, giving you the speed required to enjoy the boating life to its fullest. As a Jarrett Bay owner, you’ll experience a level of customer service found nowhere else in the industry. The production builders and their dealer networks are too big and complex to respond as quickly as Jarrett Bay can, and other custom builders lack the resources we enjoy as a full service yard and refit center located in a marine industrial park with more, and more varied, marine services and expertise in one place than you will find anywhere else. It is no wonder there are so many Jarrett Bay owners on their second, third & even fourth Jarrett Bay. 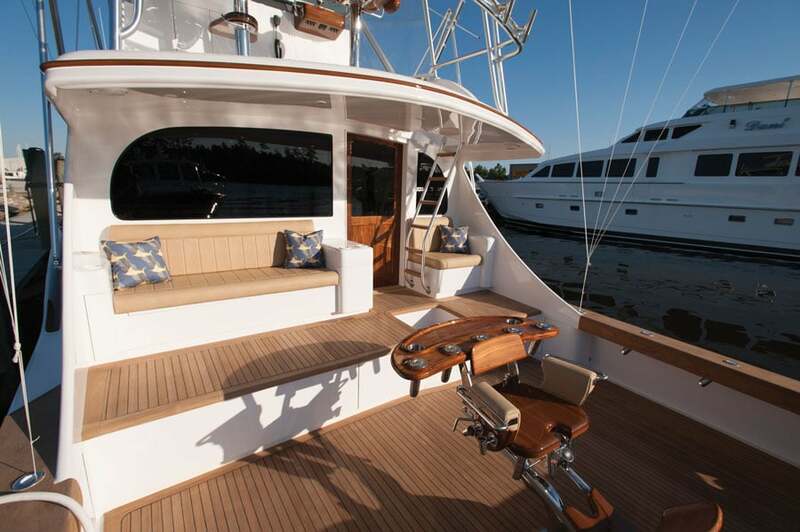 The more experience you have on the water, the more you’ll appreciate customizing your Jarrett Bay. Our ride, attention to detail and the unique opportunity we provide to build your interpretation of the perfect boat, at the dock and hard-charging offshore, truly sets us apart. Whether she is just splashed or still filling the riggers with flags 10-years later, your Jarrett Bay will be the darling of any anchorage.